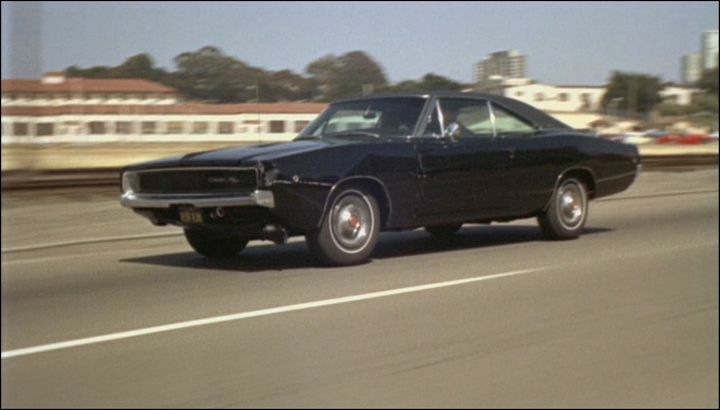 IMCDb.org: 1968 Dodge Charger R/T 440 in "Bullitt, 1968"
Je préfère presque celle-ci à la Mustang de McQueen. 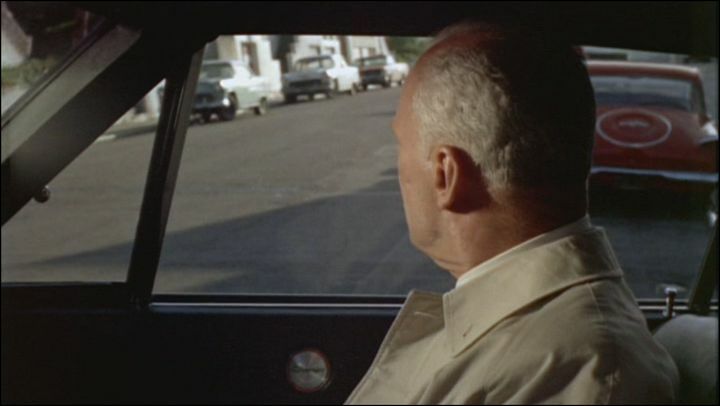 Bill Hickman played the Charger driver in Bullitt and actually drove the car in the movie. He also played the policeman who got in a fight with Gene Hackman in "The French Connection" and was the stunt driver in "The Flim Flam Man". is it just Charger or 440 R/T as Junkman stated here: /vehicle_2159-Ford-Mustang-1968.html ? According to IMDb...... Goofs and Continuity. 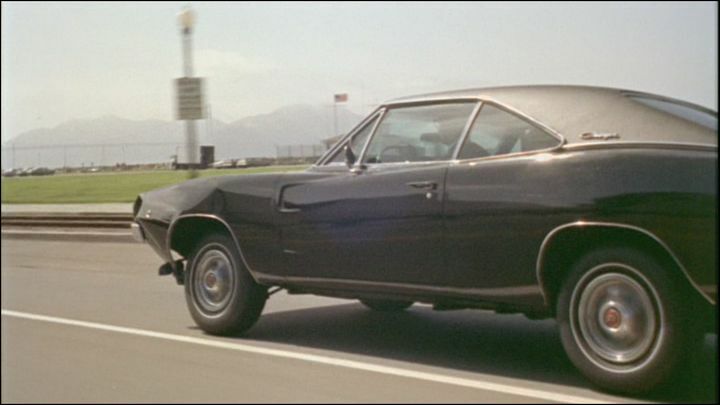 "During the chase, the Charger changes from a regular Dodge Charger to a Dodge Charger R/T"
Something that I was always curious about, was the presence of a vinal roof on the Charger throughout the chase. This seems like a non-R/T feature. 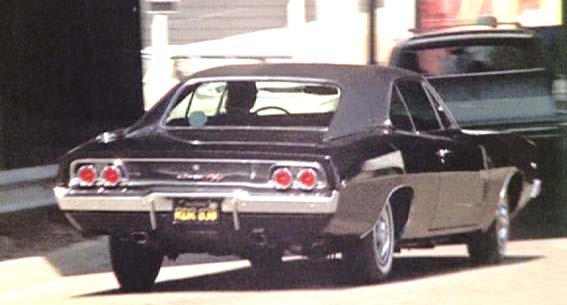 From past study, I learned that the Charger in the film may actually have had a 383 rather than a 440. The vinyl roof was an R/T option on 1968 chargers and most of them had it. I'm not sure what's funnier, the fact that the charger can loose 6 hubcaps in one chase, or that 4 of them come from the passenger side. 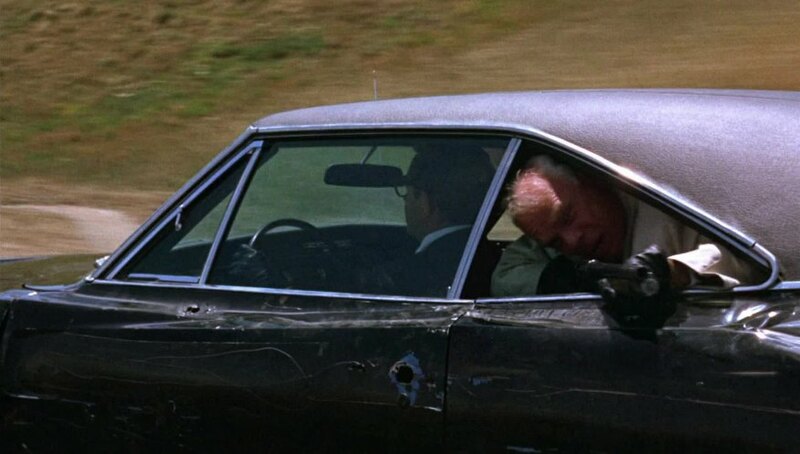 They only used two Mustangs though, and only one was written off in the chase, the other's out there somewhere. The thing that got to me was McQueen's stupid double clutching when he changed gears - you can hear it in the sound track. Did they fit the Mustang with a 10-speed 'box? I´s not the original sound of the mustang we hear during the car chase. It´s supposed to be the sound of a GT40 race-car. That´s why you hear the double clutching. You can hear the original Mustang´s sound only twice in the movie: When he parks the car backwards and when he starts the engine and drives off when he spots the Charger. BTW: They used two Mustangs and TWO Chargers. They didn't have a syncromesh transmission in the GT40 You only needed to double clutch a non-syncromesh trasnmission occasionally to avoid gear clash. Some jerks liked to do it in the 1940's and early 1950's because they thought it sounded 'cool' however it was usually unnecessary and wasted time. Absolutely silly in a race. That´s right. The original setup of the GT40 contained the Indianapolis Version of the Fairlane 4.2L V8 and an unsynchronised Colotti 4 speed gearbox. 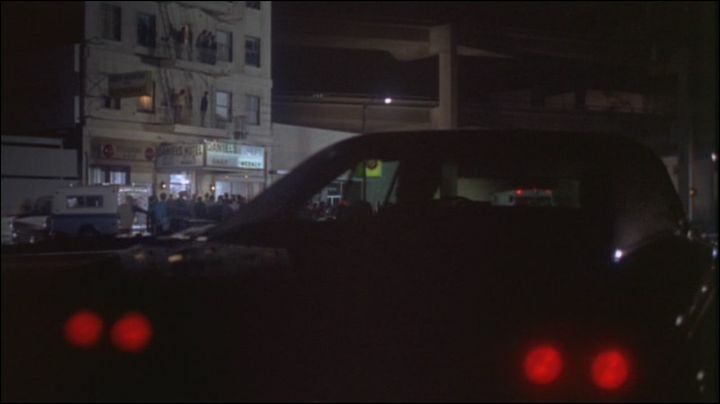 That scene was shot on the Doyle Drive (Highway 101), directon to the Golden Gate Bridge. The Safeway-supermarket in the background was still existing in 1993. The Safeway-supermarket in the background was still existing in 1993. The Safeway is still there today at the corner of Laguna and Marina Blvd. Known locally as "Dateway" for its reputation of being a singles pick-up scene. smitty526 wrote Known locally as "Dateway" for its reputation of being a singles pick-up scene. Oh, interesting. But where have been all the girls, when I bought a strawberry-yoghurt over there in July 1993? Was this car driven by bad guys? Would it be ok to replace main image with second to last thumbnail above? Isn't the 8th one better? 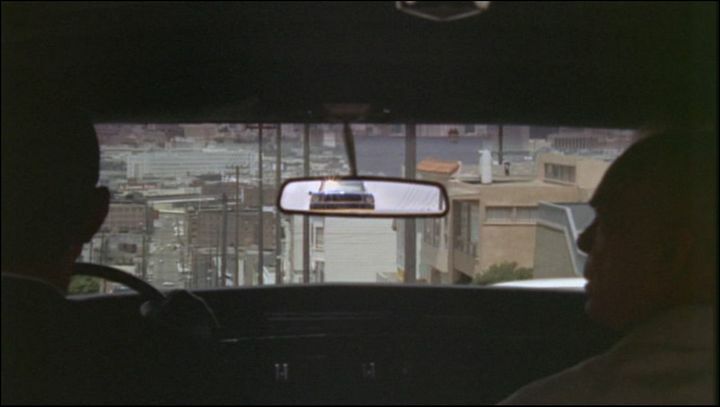 MikeV wrote Bill Hickman played the Charger driver in Bullitt and actually drove the car in the movie. 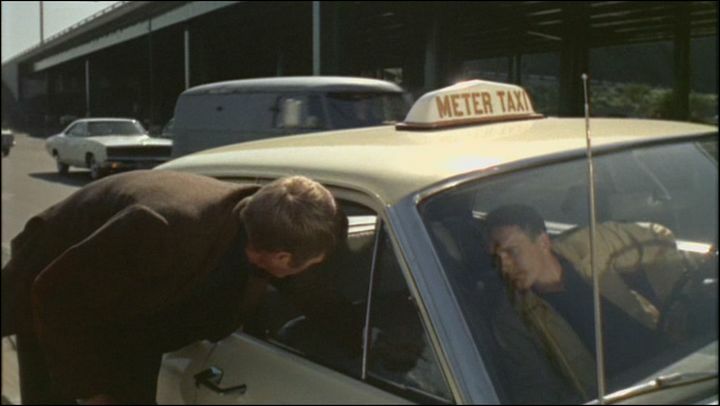 He also played the policeman who got in a fight with Gene Hackman in "The French Connection" and was the stunt driver in "The Flim Flam Man". He played in Seven Ups as well. Small roles but very memorable ones. Bill Hickman drove the trailer tow car for James Dean's Porsche the day he was killed. Dean chose to drive the Porsche instead of trailering it. Hickman was following minutes behind Dean when he crashed. Hickman was one of the first people on the scene of the crash. According to the book Steve McQueen: Star On Wheels, the Mustang(s) had a 390, the Charger(s) 440 4-barrel. 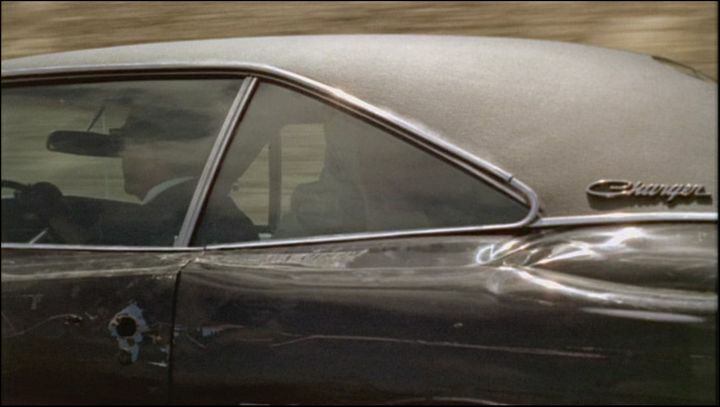 In the chase scene, if you watch the Mustang from the rear, there is at least 1 spot where you can see, by the exhaust, that the mustang was double clutched. 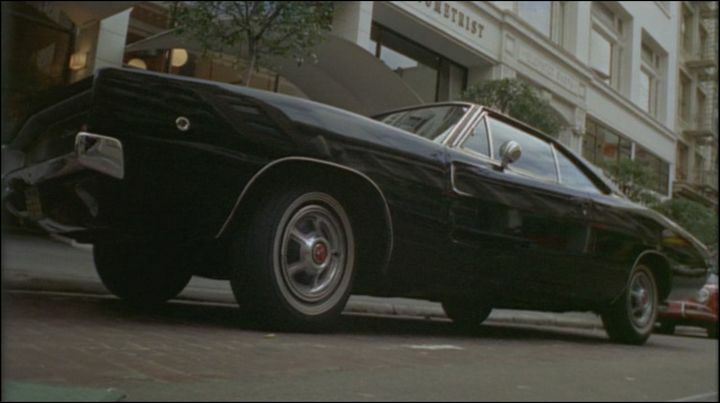 For those of you interested, check Mopar Collector's Guide, they just found the "close up" 1968 Charger R/T from "Bullitt". According to research, 2 Chargers were purchased by Mr. Hickman and used, a blue non-R/T Charger, and a light yellow R/T 440. Both were painted black. Obviously the blue one was destroyed during the gas station scene, and after filming the formerly-yellow close-up car ended up at a SoCal Dodge dealer, where it was again painted light yellow and sold. The second owner, at some point, painted the car a gold color, and that's how the present owner bought it. He's currently restoring the car to it's "as filmed" appearance. I have an article about the cars by the stund drivers. The Charger's blew the Mustangs away,they raced them on a circle track for testing and the 440 Charger lapped the 390 Mustang and the Mustang had a high performance aftermarket camshaft,heads,headers the Charger was a stock 440,but then a 440 Charger runs 12 second quarter mile times and low 4 second 0-60 mph when the tires hook up or walk it out of the hole,full excelleration is like in the movie tons of tire smoke then gets 5 sec and 13 sec times or slower,I have a stock 440 140 compression across the board and it lights the tires up driving at 20 mph with a automatic.The only modification on the movie Charger were heavy duty torsion bars.I wonder why they never had the magnum 500 wheels on the Charger,my guess it would make the mustang look even uglier.. Above should say STUNT DRIVERS but then the Mustang drivers were stund by the power and handling of the Charger! !The stang even had the suspension changed so it could handle better,remember the mustang is based on a economy ford falcon,not known to handle.Mopars always out handled Ford/GM because of the superior torsion bar suspension,gave a smooth ride and no lean in the corners,especially when you adjust the torsion bars by going under the car and turning the bolt on either bar and lower the car so the front fender wheel opening is level to the top of the tire.I do this to my c body e body and b body Mopars and they handle like its on rails,hardly any lean at all.I live in a mountainous area and my 440 Charger sticks to the back of my buddies 2007 vette even around corners..I added 275 rear tires and 245 front that alone makes a huge difference than the stock 215/70/14 tires.. I know this scene, too. It happens at the small jump of the car, shortly before it smashed into the gas station. Hecubus wrote They only used two Mustangs though, and only one was written off in the chase, the other's out there somewhere. Read an article about a guy in Australia who has a Mustang used in filming Bullitt. It still has holes in the rear compartment trim where cameras were mounted. They used two of each, both of the chargers and one of the mustangs were junked. Dodge-Charger 440 R/T (CHRYSLER).Caractéristiques techniques;(année automobile 1967-1968).Cylindrée 7.210 CC.Distribution : 1 arbre a cames placé au centre V.Taux de compression :10,1.Puissance : 375 CV SAE a 4600rpm.Couple : 66,4 a 3200rpm.Empattement :297cm.Poids 1590 Kg. Apparently, jumping the Mustangs resulted in having to have the suspension fixed all the time, where as the Charger's soft, springy suspension was perfectly intact. wrenchhead wrote The thing that got to me was McQueen's stupid double clutching when he changed gears - you can hear it in the sound track. Except it had an automatic transmission in the interior shots. Supposedly as many as three Chargers used, though most sources say two, one was an automatic. 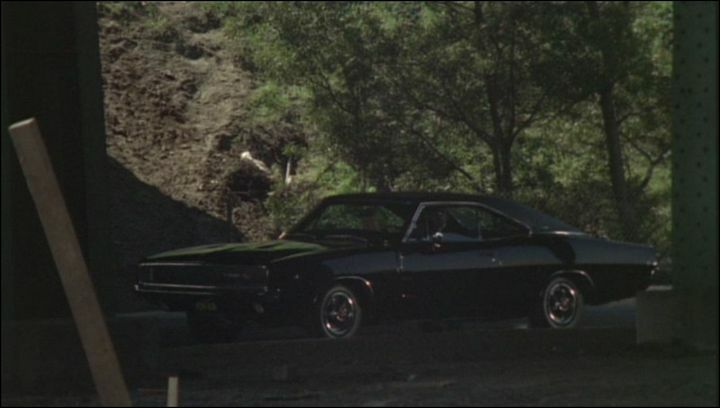 One blue repainted black, the other one was possibly yellow but that car has yet to be authenticated as a Bullitt car. The blue one was destroyed in the gas station explosion and junked. The soundtrack of engines and tires was added after so don't anyone get too overexcited about the sounds of double declutching - the chase was filmed without sound and the audio added later. Skid wrote The car was a 440 R/T 4 speed. It was so much faster than the Mustang that a set of skinniers wheels with hubcaps (from a base Charger) were added to hinder it...these wheels and hubcaps weren't normally available on a 1968 R/T. 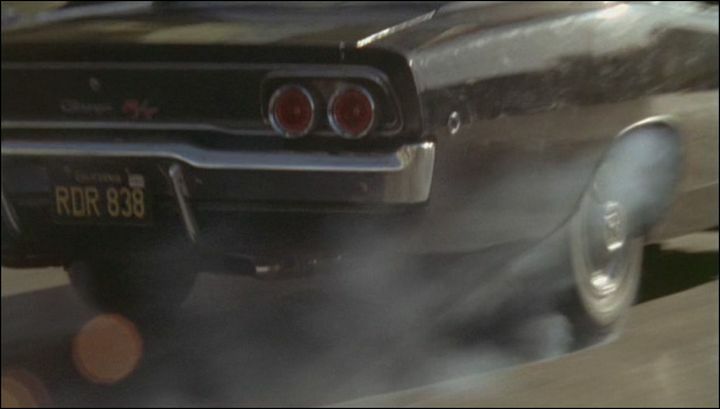 This could be the source of the confusion, as most sources say there was only one Charger used in the film along with two Mustangs. The 440(s) also had two ignition wires pulled, and even with two dead cylinders it still beat the Mustang. This is epicness that jj abramshole shouldn't have commercially raped. 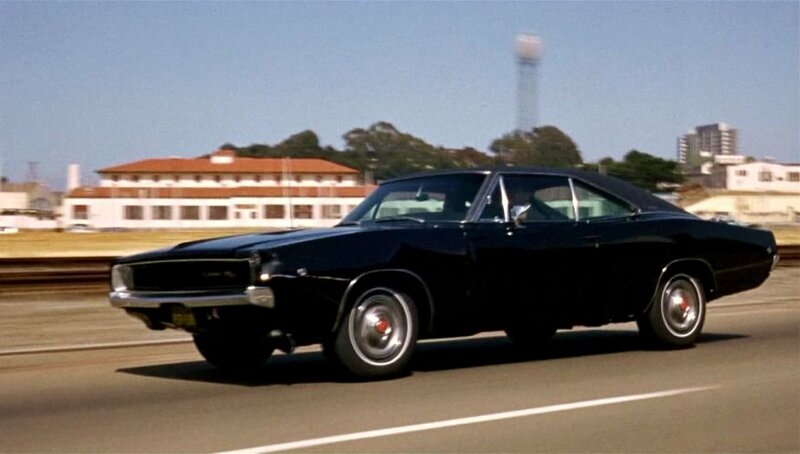 @MikeV Don't forget Bill "cameo" driving the black 68 charger in 75' David Carradine Cannonball. The R/T Charger was sold to crew member Arnold Welch, while the non-R/T was returned to the Chrysler dealership to be sold to an unsuspecting customer. One of the Mustangs, meanwhile, had to be destroyed for liability reasons, while the other was never restored, and has since been lost. Cycolac Fan wrote Supposedly as many as three Chargers used, though most sources say two, one was an automatic. DigitalLuke64DD wrote Apparently, jumping the Mustangs resulted in having to have the suspension fixed all the time, where as the Charger's soft, springy suspension was perfectly intact. No. The front suspension for the Charger(s) required some modification. There is no way that torsion-bar suspension can handle that kind of abuse. The Mustang's audio was added post production, from the original GT40 with a Fairlane engine and an unsychronised transmission. Another classic chase...too bad hollywood misses alot ...like you read above and other blogs..a real car guy knows what a car sounds like or other things...hollywood must hire real car people to give expert opinions on things..otherwise you get too many gear changes..too many hubcaps falling off..screeching tires on dirt...etc! IMCDb wrote Je préfère presque celle-ci à la Mustang de McQueen. LateNightCable wrote Something that I was always curious about, was the presence of a vinal roof on the Charger throughout the chase. This seems like a non-R/T feature. The builder, Doug Lovegrove felt the 426 street hemi[which the four cars were delivered with} were too heavy for the stunt driving on narrow streets so he replaced them with 440s.
" I almost prefer this one rather than McQueen's Mustang. The first post made here. Right now, it has been eleven years and two months ever since that post was made. Dodge Charger 440 R/T, ( 7,2 L. !! ), Moteur Chrysler V8 Magnum 375 HP. Plus +40 CV Mustang. mgisbert wrote Dodge Charger 440 R/T, ( 7,2 L. !! ), Moteur Chevrolet V8 Magnum 375 HP. Plus +40 CV Mustang. For gods sake, it has a Chrysler v8 !! Dodge/ Chrysler/ Plymouth and Desoto NEVER used Chevrolet engines !! Actually, they used two mustangs and two chargers. The stunt Mustang turned up in Mexico a few months ago. The VIN # was verified as the real deal. It was almost made into an Eleanor clone. Happy 13th birthday to this thread! 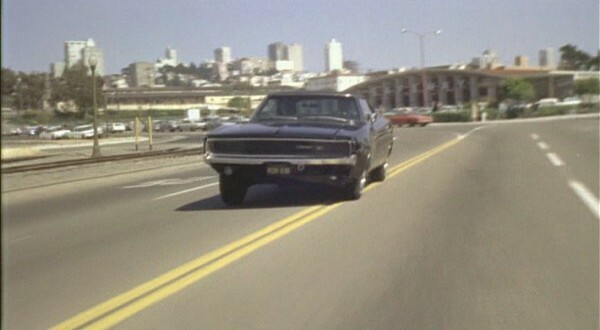 That's awesome that we're still talking about this Charger and that chase scene. One of the best ever. Even though they could be none specified, that is, not chosen, i thought the 1968 Charger R/T usually came with ‘Super Bee’ striping.